He is fond of the equipment, his first project at Intel Corp. Hillsboro, Oregon, 1983. He spent 16 years at Intel during their best days. There were terrible problems with the PDS machine, really. Very ESD susceptible and poor OEM quality such as power supply, disk drive. 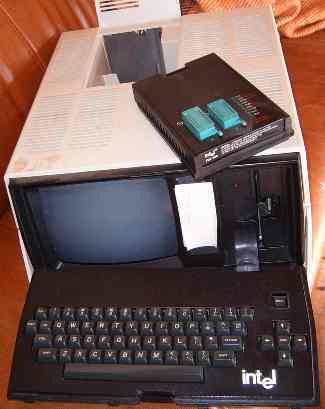 At least one of his PDS units has dual disk drives, 720K. Works much better. He has modified his IPDS system to use 3.5 inch diskettes. 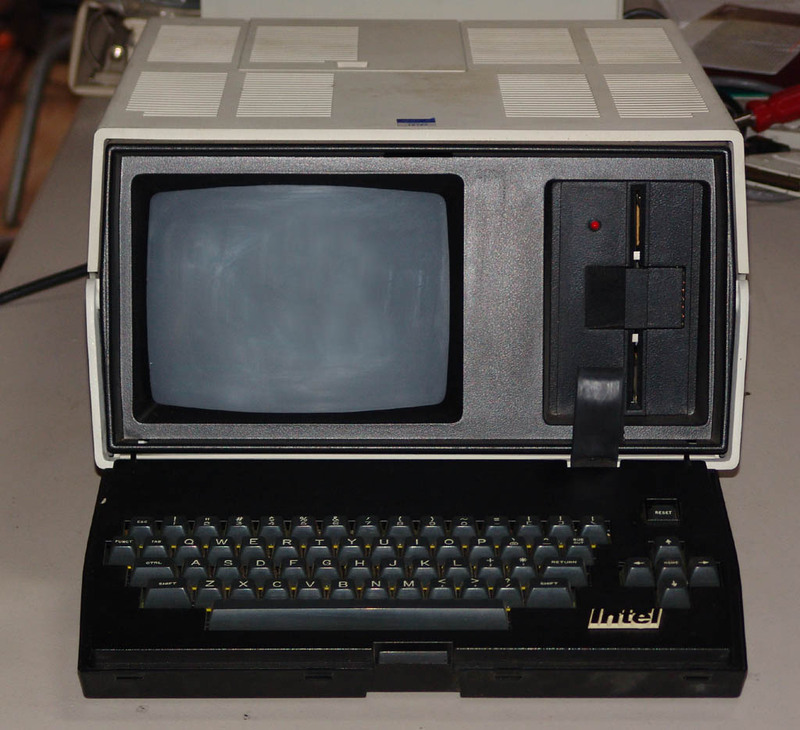 He is currently using two Sony MPF520-E diskette drives with his IPDS. He connects a straight floppy cable (no twist) to J3 (internal floppy connector) of my IPDS. He uses the jumpers on the Sony drives to set drive zero and drive one. He uses high density 3.5 diskettes and cover the hole on the right side of the diskette so the floppy drive detects a low density diskette. Enclosed here is a list of floppy drive signals. This information was developed from the “iPDS BaseProcessor 83.pdf” file. 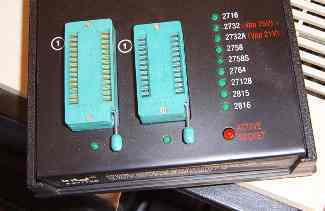 Teledisk runs under MSDOS. I suspect it works directly with the computer's floppy disk controller. I used it with MSDOS 6.22. I do not recommend using this program with you main computer system. I used an old IBM AT to create my disks. They are located under "Transfer Utilities" you will find a link to various versions of the Teledisk programs and the following information Teledisk is a program which reads a floppy diskette into an image file on the PC, and can recreate a nearly exact copy of the floppy at a later date from that image file. 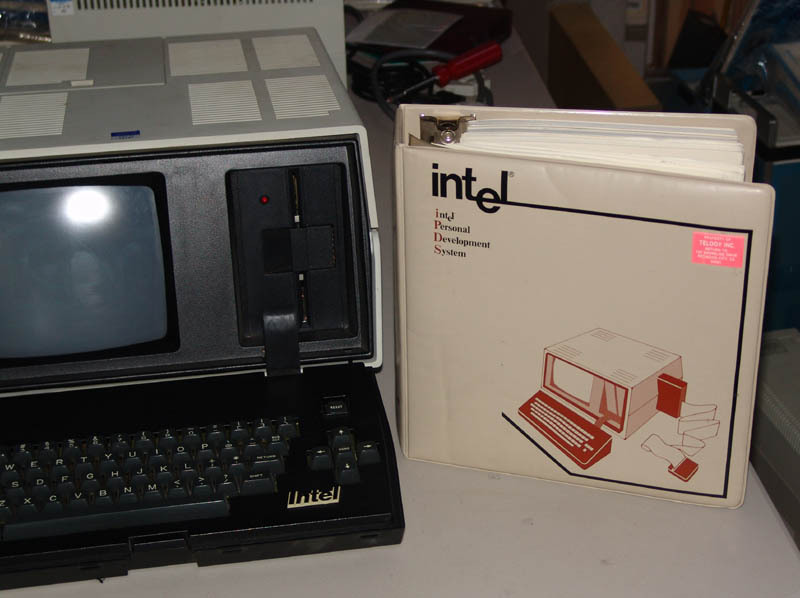 For many years, Teledisk was the only program like this which could handle non-PC formats, and it became the primary method by which people preserved and exchanged system disks for classic computers Originally sold as a shareware product by a company called Sydex, all rights to Teledisk were later sold to NTI, who no longer supports it or offers it for sale. This puts Teledisk into a state of limbo, as you cannot legally obtain or use later NTI versions, and the Sydex shareware versions cannot be used beyond the evaluation period without a purchased license, which you currently cannot buy. This is one of several reasons I created ImageDisk as a replacement for Teledisk. I urge anyone creating or manipulating new diskette images to use ImageDisk instead of Teledisk. Due to it's past popularity, it is likely that some of the diskette images you need for your classic system may be available in .TD0 (Teledisk) format. .TD0 images that you encounter, I have collected all of the shareware versions of Teledisk that I have been able to find and placed them here. which are included with the current version of ImageDisk. period. ImageDisk is available and recommended for all new PC diskette imaging. ISIS emulator at http://www.cpm.z80.de/binary.html under the "PLM compiler". The link is http://www.cpm.z80.de/download/plm80.zip [336 Kb]. I have used it on my home computer running XP without too many problems. I used it to compile Kermit for the IPDS and transferred most of the IPDS stuff to my home computer. You can get ISIS Kermit source from ftp://kermit.columbia.edu/kermit/c/ . There are two versions the MD2 and MD files. I used the MD files. I had to do some modifications to the source since the IPDS serial port is not at the same address as the MDS. I compiled the source on the home PC using to above to Intel hex format. I broke the file into three parts and used HyperTerminal to send the three Intel hex files to the IPDS. I used the copy command on the IPDS to copy from the serial port to a file. I copied the three files together and converted it to an executable. Since the Intel hex file format has a check sum there is some error checking. It works fine at low baud rates. You can get diskette images and version of Kermit (have not tried it) from http://www.s100-manuals.com/intel/ . If you like this stuff, I will send you more. The main unit is stamped with the year 1983 at the back. On the back edge there is written: "Intel 3401952-01"
In addition, here is also stamped two numbers: "P/C 162531-003" and "S/N JS3333"
I then tried the "DIR" command, and it listed a few files, some where programs and other .MAC files. One of the programs was called BINHEX and required a filename as commandline parameter. There was also an editor called AEDIT, which I opened ones. This appeared to be related to the programmer. Enclosed is some IPDS information you may be interested in. 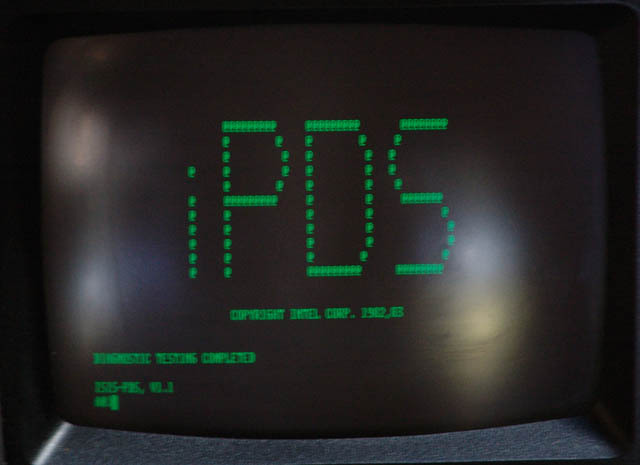 The “IPDS.zip” file contains IPDS files in Teledisk format. If you look forward for other information about this 27K eprom programmer , do not hesitate to contact me by e-mail at: matthieu.benoit@free.fr . Also if you have any data about this programmer, do not hesitate to contribute to this page. Si vous recherchez des informations pour ce programmateur d'eprom InteL, vous pouvez me contacter par e-mail : matthieu.benoit@free.fr . De même si vous avez des informations sur ce programmateur, n'hésitez pas à contribuer à cette page.